Empowering the differently-abled was the main aim of Mr. Ponty Chadha when he established Mata Bhagwanti Chadha Niketan (MBCN) in the year 1999. It’s been 16 years since then, and the institution has carved a niche in supporting the children with special needs physically, mentally and emotionally. Many children have benefited from our rehabilitation therapies and our inclusive education model. In this course, we have also come across many child prodigies. Kartik Verma was one of them. Recently, he has become the youngest Kung-Fu trainer in India and plans to go for professional Shifu training. Three of our students, Rajan Jha, Shrey Kadian and Praveen Nailwal participated in Special Olympics 2015 and have won gold and bronze medals for the country. It gives us great honour to introduce such prodigies to the society. But few years back, the story was not the same. These children came to our school with disabilities and challenges. Our rehabilitative approach gave them a right direction and fuelled their dreams. Five of our therapies and routines that help the students at MBCN are listed below. At MBCN, children with different abilities are given special education in classrooms as well as in community-based settings, so that they can sustain their daily chores effectively. 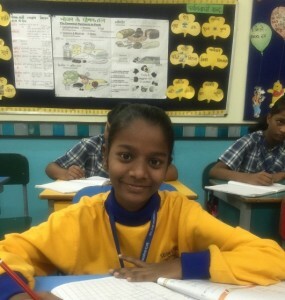 The working is mainly focussed on teaching them basic academic skills, communication skills, social and motor skills, applied and functional academics, etc. We implement special research based methodologies to address their individual needs in a better way. And this is what helps the children in the long run. These standardized tools help us identify a student’s current level of performance and facilitate an individualised educational programme. After giving them personalised training, the same is also discussed with their parents so that they can grow up in a homogeneous environment. 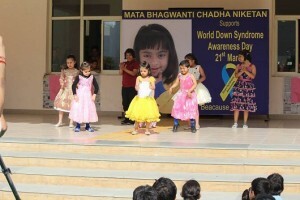 Speech is one of the greatest challenges faced by differently-abled children. Different disorders like Autism, Cerebral Palsy and Multiple Disabilities hinder a child’s ability to speak. Speech therapy at MBCN alters this approach individually and helps them with customized therapies. MBCN speech therapists use game software that works on the continuous voice modulation and motivate the kids to use their power of voice and achieve the game’s goal. The next level of speech therapy is to develop linguistic skills among such children and help them express and communicate effectively with others. This is a drug-less therapy which acts as the main augmenting stimuli to help the kids achieve physical independence. It also indirectly sculpts out their vocational potentials and boosts them up psychologically in order to attain a feeling of self-security. The qualified team of physiotherapists of MBCN administers therapy to children through manual and equipment aided techniques. This approach assists them in mastering their physical hindrances and has been found to be a triumphant step for the correction of some of the paralytic disease conditions like cerebral palsy, polio myelitis, peripheral nerve palsy, etc. This kind of treatment helps the youngsters to attend 360° independence in their lives as much as possible by enabling them to carry out their entire daily activities. 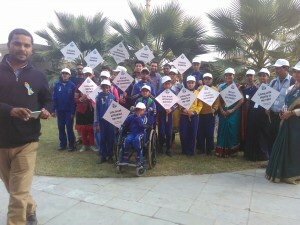 It includes giving them a customised treatment program according to their disabilities, work and home environments, etc. During this therapy, the experts at MBCN also recommend adaptive equipments for the permanent or temporary loss of some of the finer body functions. The idea behind occupational therapy is to assess and record the student’s progress periodically and involve parents and other care givers on looking after the child. 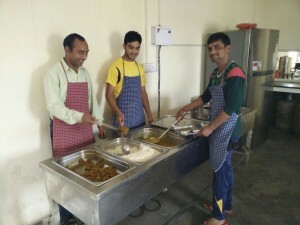 To amalgamate the differently-abled adults with the mainstream of the society and to foster them with the spirit of self-dependence, they are given commercially oriented vocational training at our school premises. We have a special workshop that churns out amazing handmade products like eco-friendly notebooks, carry bags, cardboard boxes, pen holders, envelopes, paper weights, photo frames, jewellery boxes, calendars, gift boxes, etc., and the list is endless. And the fact that these are made by unique individuals makes such creations even more special. The training empowers such individuals economically as the handmade creations are sold at a store in Wave Centerstage Mall, Noida. Also, there are many brands that source their carrybags and box requirements from our school. The benefit of these consignments goes directly out to our former students in the form of stipend. This gesture hikes their confidence and establishes their worth as an earning member of their respective families. This ways, the students are empowered economically at MBCN. 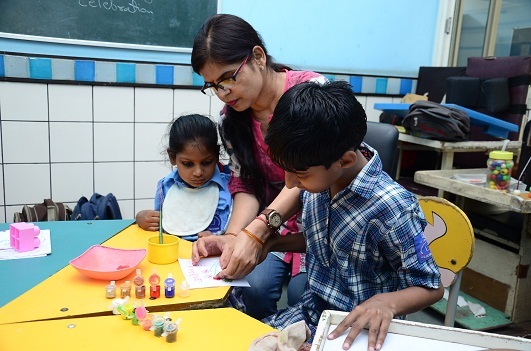 These action-oriented therapies and trainings aim at the rehabilitation and mainstream inclusion of special children. This is our way of bringing the #WaveOfChange and empowering the differently-abled children in exhibiting their potentials to the world. 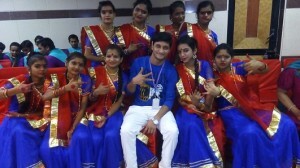 This entry was tagged MBCN, rehabilitation for differently abled children, school for differently abled children, therapies for differently abled people, vocational training programme. Bookmark the permalink.